Ok, making sure is all. So you may have a router going bad. Try some of the other suggestions. I would go to BestBuy/Frys/OfficeMax or a local store with a refund policy and get you a new router and test it out. If the new router is good, I presume the 655 would be the problem. Alrighty, I'll check into it and let you know. Thank you SO MUCH for the help, this was incredibly useful and enlightening. Wish something had worked to fix this. Maybe beyond fixing. We tried. Let us know how it goes. 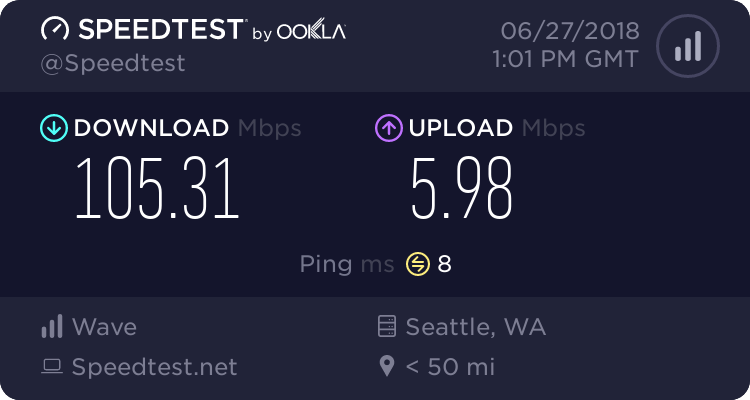 Modem status is also looking pretty good, as I'd expect; they ought to be testing their own equipment working well together without needing much customization. This is a good setup too, in case I need support - they can't give me the runaround ("talk to the modem manufacturer"... "talk to the router manufacturer" - it's the same people ). Glad you got something that works. Nice to see Motorola break into the router side. I've always liked there modems. I wish they hadn't sold off there SB series to Arris years ago.